Many don’t think of looking for GED tutors for adults, only for younger students. Lots of students look to tutors to help them with their studies, but adult students and those looking to return to education are often overlooked. However, it is this group that just might benefit the most from finding a quality private tutor or at home tutor to help them complete their goal of a high school degree. GED tutors can help you on your educational journey, and open doors that until now, you might have found closed. If you’ve never heard of GED tutors before, you’re probably wondering what GED even stands for. 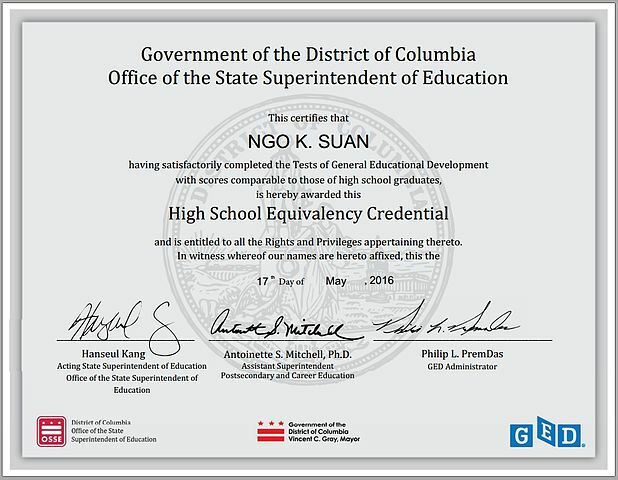 GED is short for General Educational Development, or General Education Diploma. Basically, it’s a diploma you can take to show that you have the same level of knowledge as a high school graduate, only it’s a lot quicker to complete than high school! 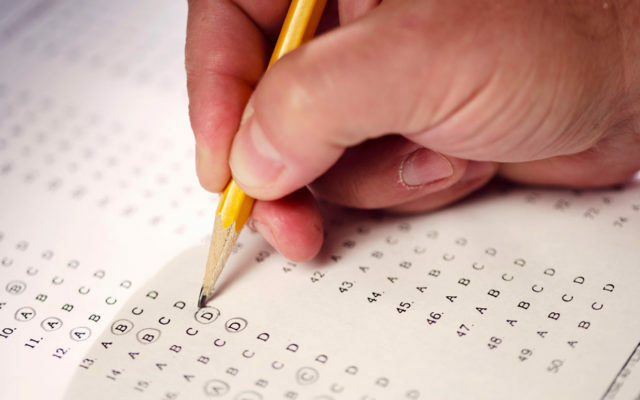 Many times the adults or younger students take the test because they have had to stop school for some reason, they have been home schooling, medical reasons and for a ton of other personal reasons. By preparing for and taking the GED adults and teens are able to complete a huge milestone in life – a high school graduation. Now, while adults won’t get to go to their prom this time around, having their GED will certainly open up many doors that might otherwise have been closed. Generally, most people study and prep for a few months for the exam and to prepare for the GED tests, which beats the 4 years it takes to complete high school. This doesn’t mean it’s easier though. It still takes a lot of work to complete and pass your GED, as it tests you on everything you should know when graduating from high school. The subjects you’ll be tested on include mathematics, literature, science and social studies (history, politics, geography and the likes). So there’s a lot of information you’ll need to take in and remember. Why Should You Get Your GED? It’s becoming more and more important for those that didn’t complete high school, but need additional educational qualifications for a career choice or to attend higher education. Education and educational requirements have become much more highly valued in recent years, and employers are now expecting more and more from the people they employ. If you’re planning on changing careers or looking for a promotion, experience might not be enough to land you that new job. Most employers now have education requirements as well. Taking your GED might just give you career opportunities that you hadn’t even dreamed of before as well as additional income because more education can lead to higher salaries. If you’re interested in joining the military, then it’s the perfect qualification for you to insure entrance into your selected branch of the military. 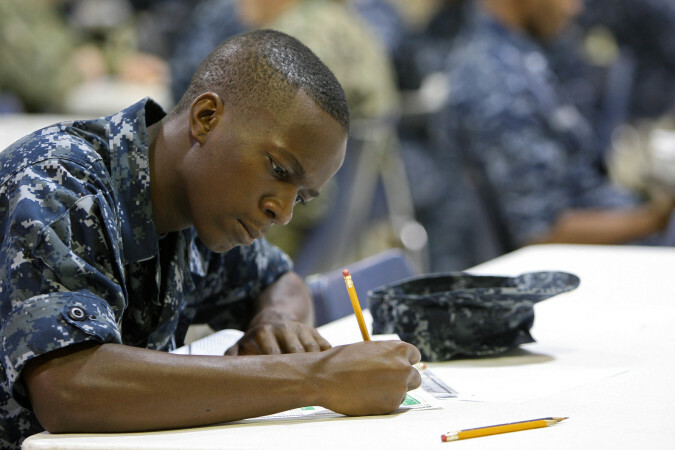 In fact, the GED exam was created for the U.S military, so that soldiers’ general knowledge could be tested. This exam plus the ASVAB exam are requirements that you might want to meet. With increasing value being placed on education, more people are attending university, whether because a degree is a necessity for certain jobs, or simply because they want to learn more about a certain subject. If you’re hoping to study for a degree, you’ll need to meet the educational requirements to be accepted into the program or course of your choice. This is where a GED comes in handy. GEDs are internationally recognized, so wherever you’re hoping to study, it could be your ticket in. Even if you don’t have any specific need to attain a GED, it’s a great achievement to have if you feel you haven’t made the most of the educational opportunities that exist these days. It’s challenging, but it will boost your confidence in yourself, and refresh your knowledge. How Can a GED Tutor for Adults Help You? There are lots of tutors out there, but a GED tutor for adults will have more experience helping mature students, and will know exactly how to help you pass your GED. Most tutors focus on helping students pass the general high school tests, but the GED isn’t quite the same, and requires a little more focus on the specifics of the test. While a general tutor might have the knowledge to help you study and prep, they might not be quite so well versed in applying that knowledge to the test in a way that receives a good score. This is why you should find a tutor who teaches GED students specifically. They’ll be familiar with how the test works, and can guide you through it to help you do the best you can. The GED is also a broad test which covers several subjects in reasonable depth, so you need a tutor who is able to teach you a variety of subjects alongside each other. A GED tutor for adults will be used to managing several subjects at once, and will be able to plan organized lessons that tackle each subject in turn. Once they’ve gotten to know you, they’ll have picked up on your strengths and weaknesses, and focus more on your weaker points, to help you bring up your score. Math is a tough subject for many of us and GED math tutoring is something that many adult (and teens) are looking for as they prep for their exam. Finding a private tutor for GED who is used to teaching adult students will help you study around the rest of life’s goings on. They’ll be able to offer advice about how to fit in studying around a busy work or family schedule and still hit the test date ready and prepared for it. Being used to teaching mature students means they’ll be more understanding about how difficult it can be to return to education after several years, when life is in full swing. If you find a GED tutor who is local, they should also be able to help you plan out your study time and sign up for the exam as well. In addition, many of those local tutors will have GED tutoring materials that will be specific and cover exactly what you need to know to pass. If you’ve decided to go ahead and find a tutor for the GED exam prep, the first place you should start is right here, online. Many tutoring agencies have sites where you can search their databases for tutors that suit you. Search for a GED tutor for adults on any private tutoring site, and you should be have several options to consider for a private tutor for GED. Best of all, you can find several profiles of GED tutors to consider and depending on how you like to learn, you can find one that is a fit. You should make sure you find a tutor that suits you, one that you feel you’ll get on with, as you need to feel able to ask them for help and feedback. It’s also important to make sure that they excel in the areas that you are weak. If your English skills are strong but Math is low, then finding a tutor that isn’t strong in Math won’t help you as much. If your tutor has taken the exam themselves, find out how they did on the test? If they took other tests like the SAT or ACT, find out their scores on those tests as well. It’s important to have a tutor that can not only help with the subject matter but also with acing it in test taking as well. With the tons of options we have available here, don’t be afraid to drop a few of them a message. Ask them questions about how they could help you, what their lesson plans are like, or even about how their previous students have done on their exams. After all, it’s their results that are critical to you at this point in time. That’s the beauty of PrivateTutoringAtHome – you’ll always be able to find the perfect tutor after just a few clicks. If you’re looking for somewhere to start, why not begin right here? Search for tutors on our site to find the perfect GED tutor for adults, and you’ll be well on your way to getting your GED, and all of the opportunities that come with it.